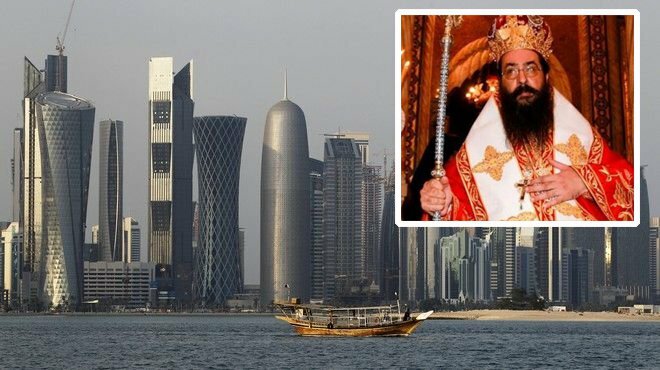 Greek Orthodox Archbishop Makarios of Qatar said that the Greek embassy is prepared for the possibility that Greeks living in the country might want to leave, but expressed optimism that the political crisis will end soon. After several Arab countries cut diplomatic ties with Qatar, accusing it of destabilizing the region, there is concern for foreign nationals living in the country. Saudi Arabia, Egypt, Bahrain, the United Arab Emirates, Yemen, Libya and the Maldives claim Qatar backs militant groups including the so-called Islamic State (IS) and al-Qaeda, which Qatar has denied. There are about 3,000 Greeks living in Qatar who worry that the situation might escalate. However, Archbishop Makarios appeared optimistic speaking to Protothema.gr news website. He pointed out that he keeps his reservations about the outcome, but in the worst case scenario, he said, the Greek Embassy has a plan for those who want to leave Qatar. “There is no cause for concern, it is a political anomaly that will be settled soon, I believe,” he told Protothema.gr. “We haven’t had any impact, do not worry … We are safe, there is a way out of the country if needed. But there is no problem for now. Our embassy has a plan but at the moment there is no reason to worry,” he continued. Regarding television reports showing people in Qatar rushing to the super markets and emptying the shelves, the Archbishop reassured that, “This is not true. There has been greater consumption in the super markets due to Ramadan, but products are abundant. There is no shortage of anything… There are high-level security measures. But there is no cause for concern,” Makarios said.